The Pennsylvania State Capitol dome in Harrisburg, Wednesday Oct. 24, 2018, in Harrisburg, Pa.
HARRISBURG — Voters in the Philadelphia suburbs handed Democrats some of their biggest gains in Pennsylvania's staunchly Republican legislature, in some cases electing unabashedly progressive candidates to represent them in the state Capitol. In the 50-member state Senate, four of the five seats picked up by Democrats came from Montgomery and Delaware Counties. In the 203-member House, Democrats flipped 14 seats — the most since 1974, according to House Democratic campaign officials — all in Philadelphia and its suburbs. That helped offset other losses for a net gain of 11 seats in the 203-member chamber. That so-called blue wave was acutely felt in the Southeastern part of the state, and was fueled in large part by anti-Trump sentiment and a push to elect more women, Democrats and Republicans said this week. But Democrats also attribute some of their gains in the southeast to voter anger over the legislature's failure in the weeks before the election to resolve the high-profile issue of how to help victims of Catholic clergy abuse. Either way, Tuesday's results could be a harbinger of future elections. Though the election did not flip Republican control in either the Senate or the House, it did provide Democrats a first shot at chipping away at GOP majorities ahead of the high-stakes redistricting process in 2021, during which future election boundaries will be drawn. "I think that the Democratic gains in the Philadelphia suburbs are a key to understanding what could happen in the next 10 years — whether the state shifts from being a centrist swing state to a Democratic state," said pollster and political analyst G. Terry Madonna. In the Senate, Republicans for the last two years have held 34 seats – a super-majority that would have allowed them to overturn a gubernatorial veto. In the next session, which begins in January, they are projected to hold 29 out of the 50 seats. In Tuesday's election, two incumbent Republican senators were ousted. John Rafferty, a 16-year senator from Montgomery County, lost his reelection bid to Democrat Katie Muth, a professor and athletic trainer who ran for office for the first time. Sen. Tom McGarrigle, who was elected in 2014 to represent Delaware County, lost to Swarthmore Mayor Timothy Kearney, a Democrat. Two seats that were held by retiring GOP senators also got snapped up by Democrats: Maria Collette, a lawyer and nurse, beat out Republican Stewart Greenleaf Jr., who was running for his father's seat; and Steve Santarsiero, a onetime House lawmaker, edged out State Rep. Marguerite Quinn for the Bucks County seat of outgoing Sen. Chuck McIlhinney. The Sixth District Senate, between Sen. Tommy Tomlinson (R.,Bucks) and his Democratic challenger, Rep. Tina Davis, remained too close to call. Republicans scoffed at the notion that the clergy-abuse issue was a factor. They said that the outcome in the Southeast was fueled by events outside of Harrisburg and outside their control: the larger national debate over President Trump and the direction of the country. Drew Crompton, chief of staff to the Senate's top Republican, said "the headwinds" were working against Republican incumbents, many of whom had strong legislative records and name recognition, and had won by wide margins in previous elections. "I think there was very strong sentiment for change down there that was significantly more important than the individuals on the ballot," he said of the results in the Southeast. Indeed, Republicans in the House also lost seats in Philadelphia and its surrounding counties, even though the chamber had voted overwhelmingly to approve the two-year window. Going into the new two-year session, the GOP is projecting a majority of 110-93. Longtime State Rep. Kate Harper (R., Montgomery), for instance, lost to Democrat Liz Hanbidge; Rep. Becky Corbin (R., Chester) was defeated by Democrat Danielle Friel Otten; Rep. Warren Kampf (R., Chester) could not overcome a challenge by Democrat Melissa Shusterman; Rep. Jamie Santora (R., Delaware) lost to Democrat Mike Zabel; and Rep. Alex Charlton (R., Delaware) was beaten by Democrat Jennifer O’Mara. Democrats also picked up some open seats that were previously held by Republicans, including the one being vacated by Rep. Nick Miccarelli (R., Delaware), who announced that he would not run for reelection after being accused by two women of sexual or physical abuse, which he has denied. Miccarelli’s seat was won by Democrat Dave Delloso. Still, Republicans reclaimed a seat they had briefly lost to Rep. Helen Tai (D., Bucks). Tai had won a special election earlier this year to complete the unfinished term of onetime Republican State Rep. Scott Petri, who now heads the Philadelphia Parking Authority. 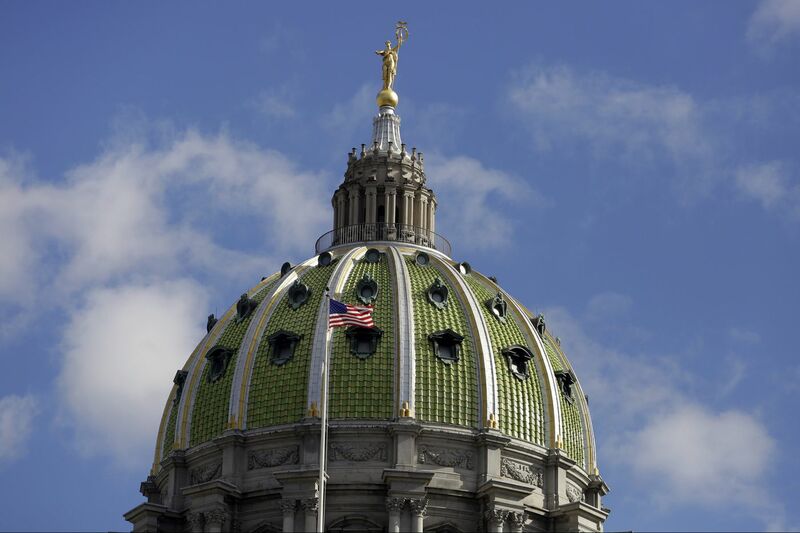 It is too early to tell whether the influx of new faces will substantially change the tenor of negotiations on key financial or social policy matters in Harrisburg, political insiders say. But it could force Republican leaders with smaller majorities in both chambers to strike a more centrist tone. "The tea party era is behind us," said one longtime Republican political consultant, who requested anonymity. "I think you will see an era of more pragmatic Republicans now."